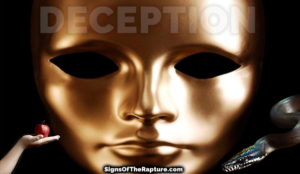 Evil men and impostors will go from bad to worse, deceiving and being deceived. Watch out that no one deceives you. For many will come in my name, claiming, I am the Christ,’ and will deceive many. I’d rather offend you into Heaven, than flatter you into Hell. Don’t underestimate how persuasive Satan is. Satan deceived one third of the angelic host, he deceives our world to believe his lies about life, God, and the true meaning of freedom. He (the angel from Heaven) threw him into the Abyss, and locked and sealed it over him, to keep him from deceiving the nations anymore until the thousand years were ended. After that, he must be set free for a short time.